I have been overweight ever since I was a child. Being ridiculed and teased my whole life about my weight growing up wasn’t easy. Trying various diet pills and workout routines just didn’t seem to work for me. So one day I decided to make a change about my weight and came across BeLiteWeight’s services. BeLiteWeight changed my life and is worth every cent. 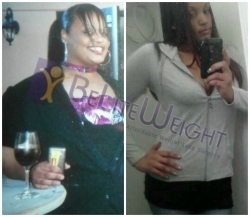 If your willing to make the change from obesity to a healthier life, let BeLiteWeight guide the way.